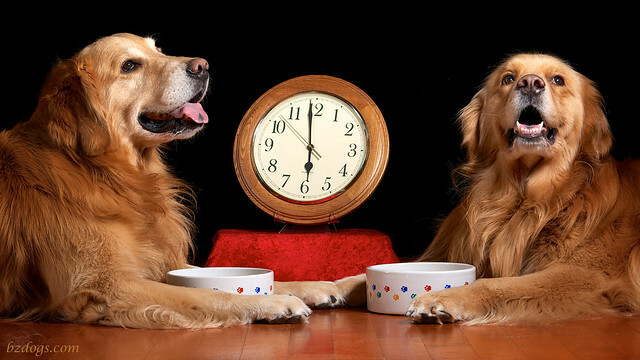 Dogs definitely live In The Present and their Timekeeping when it comes to meals is impeccable. Daily Dog Challenge 1099. 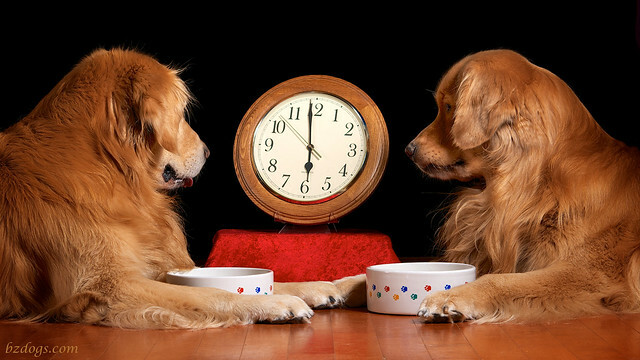 "In The Present"
Our Daily Challenge - Nov 4, 2014 - "Timekeeping"
Don't be silly, of course they got to eat! I see your staff is also slow... I am thinking about biting my staffs' ankles to get them to bring the food on time. 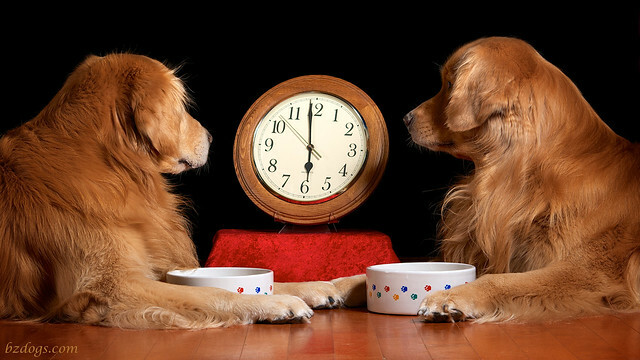 BOL never thought that dogs must hate the time switch just the same as humans! These photos are REALLY cool! Love the theme. 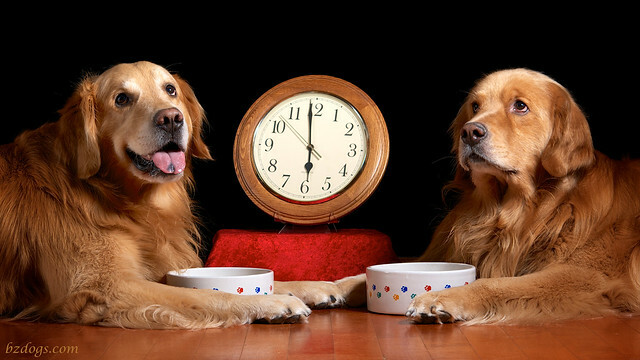 I had the same reaction when we rolled the clock back- where's the food?! Have a great Wednesday! For a minute there I was afraid they never got to EAT IT! So glad they did though. Wonderful pics! 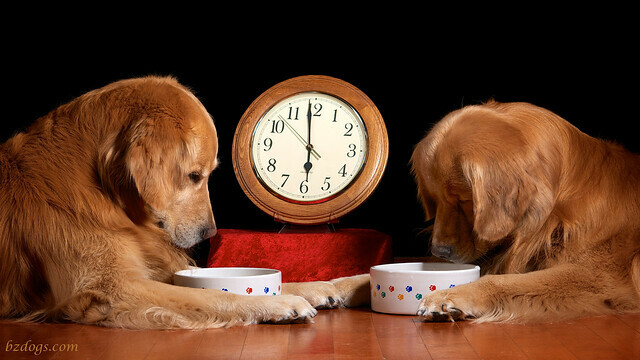 Ahhhh,,,the longer that you have to wait,,,the more you will savor the flavor. 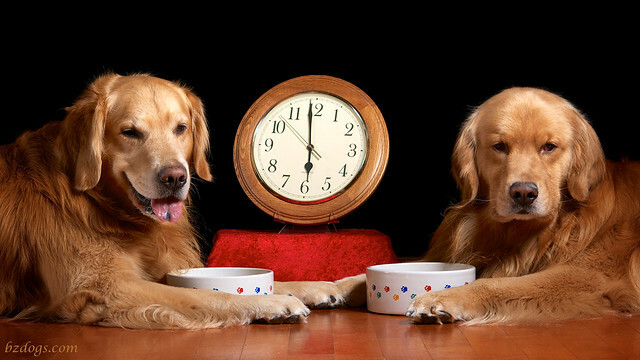 Eat hardy,,,and enjoy, pups !